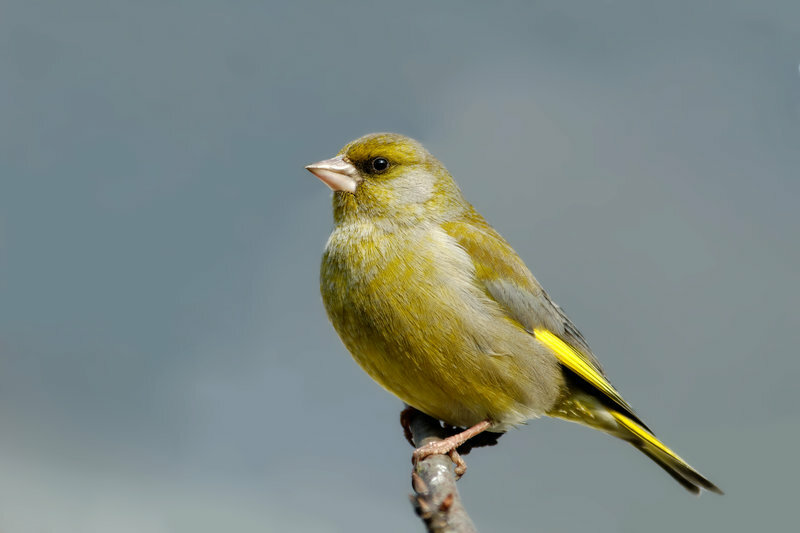 European greenfinch, also called greenfinch, is a small bird of the finch species, having a resemblance to a house sparrow in terms of size. Having a characteristic thick, conical pinkish bill, the greenfinch can easily crack hard seed shells. 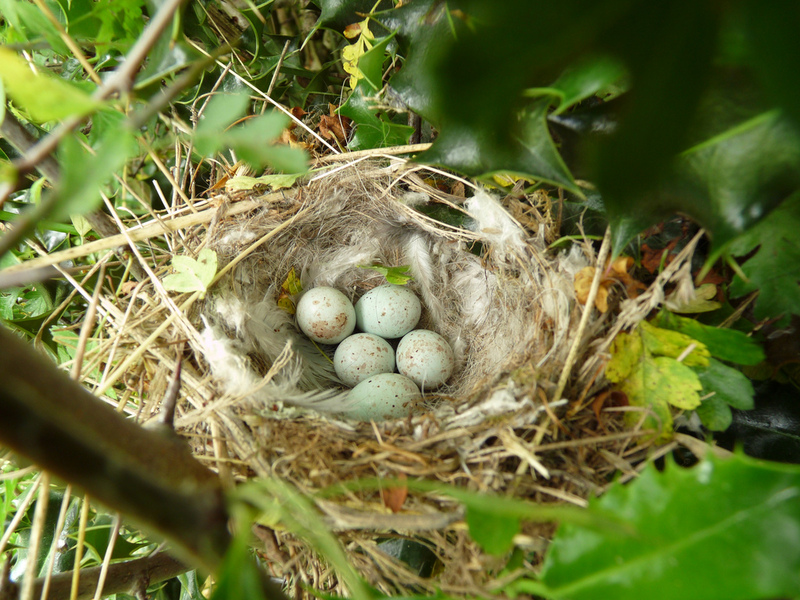 These birds are known to target ripening seeds of crops, particularly radish, rapeseed, linseed, and cereal crops. 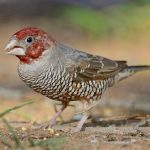 These popular songbirds are trapped, domesticated, and bred in Malta. 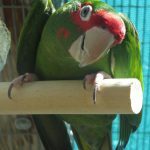 Color mutations like Isabel, cinnamon, pastel, agate and lutino are now established in greenfinches. Since European greenfinches are easy to look after, they can be kept by inexperienced bird owners. However, they need greater care during their breeding season. 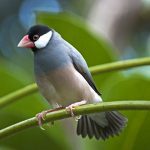 Just like canaries, these finches are usually kept in individual breeding enclosures or cages, but they prefer to live in large flights and planted aviaries, especially during mating season. To provide them with perching spots, evergreen plants with branches can be positioned inside their cages. 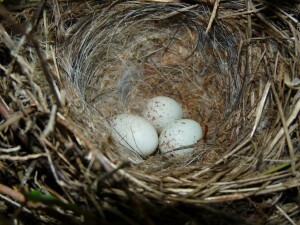 A canary nest or nesting pan can be placed in a sheltered spot high up inside the cage with a covering of artificial plants to provide the birds with the privacy they need while breeding. 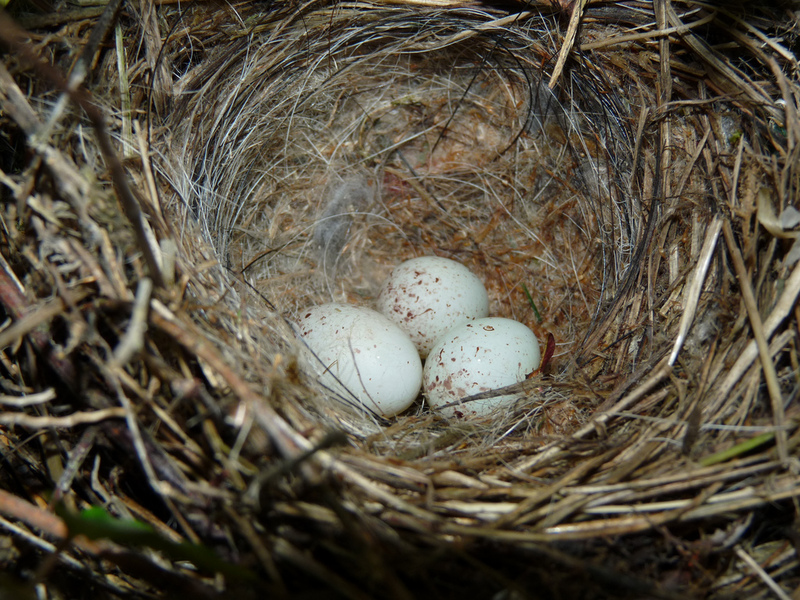 Soft nesting materials like feathers and dried moss can be placed inside the enclosure to help the hens build their nests that act as the ideal place for incubating the eggs. 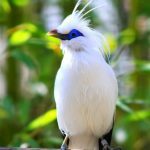 Since these birds are native to European countries, they are resistant to cold climates. However, adequate shelter should be provided to protect them from extreme conditions. 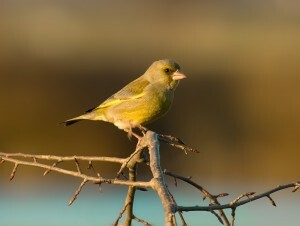 Since greenfinches live cheerfully with other birds, they are usually kept in individual pairs or with birds of other species having similar size. 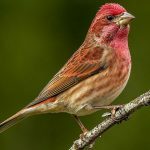 They imitate their behavior in the wild where they flock with other buntings and finches. 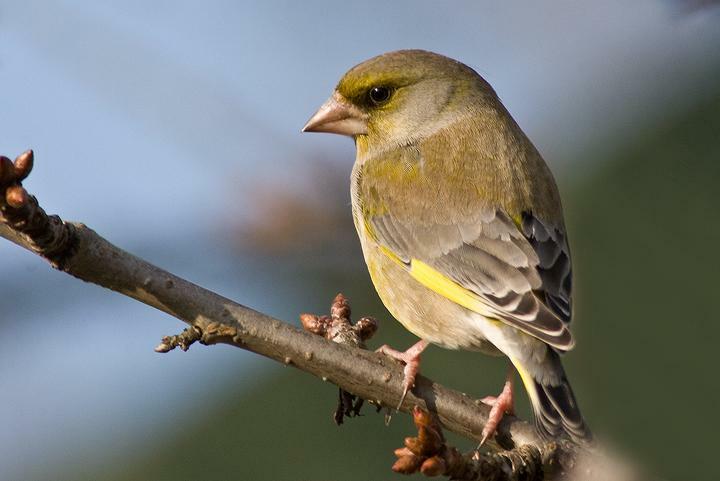 Greenfinches like feeding on seed mixes along with egg food, chickweed, and dandelion. 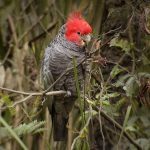 They also enjoy green food, canary grass seeds, and seeds of Sunflower, Safflower, and Thistle. They can be occasionally provided with fruit fly larva, waxworms, and ant eggs along with soft food. 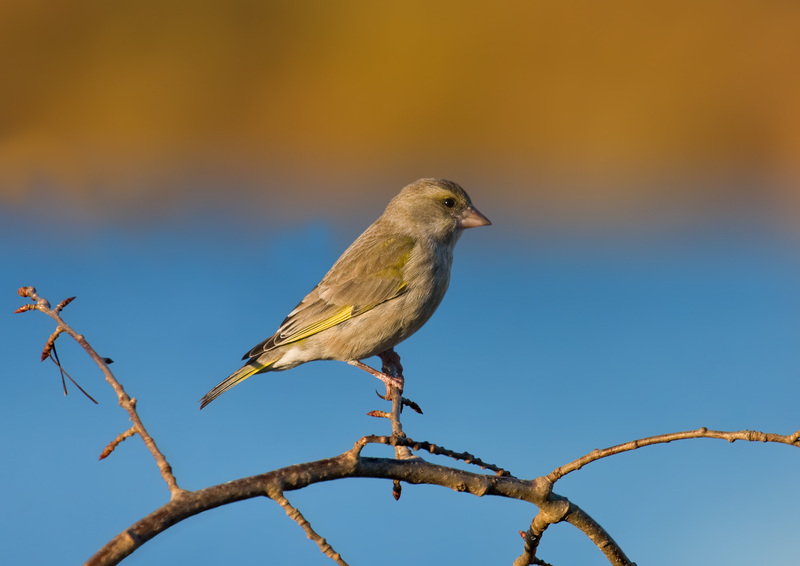 A European greenfinch loves to bathe in clean, fresh water contained in dishes positioned inside the enclosure. Regular bathing in water helps to keep them clean and healthy. 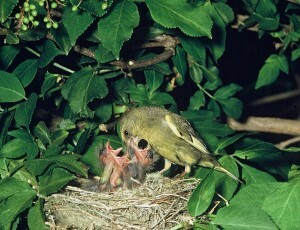 Young greenfinches are often infected by a parasite known as “Atoxoplasma”, affecting the birds’ gut lining that prevents them from eating or drinking properly. To prevent the disease from spreading, add 6 drops of sulpha drugs into their drinker for five days. 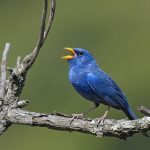 The young birds may occasionally show signs of “going light” with puffed up appearance and reduced weight due to persistent illness. A pair of European greenfinches will cost about £60 or $75. 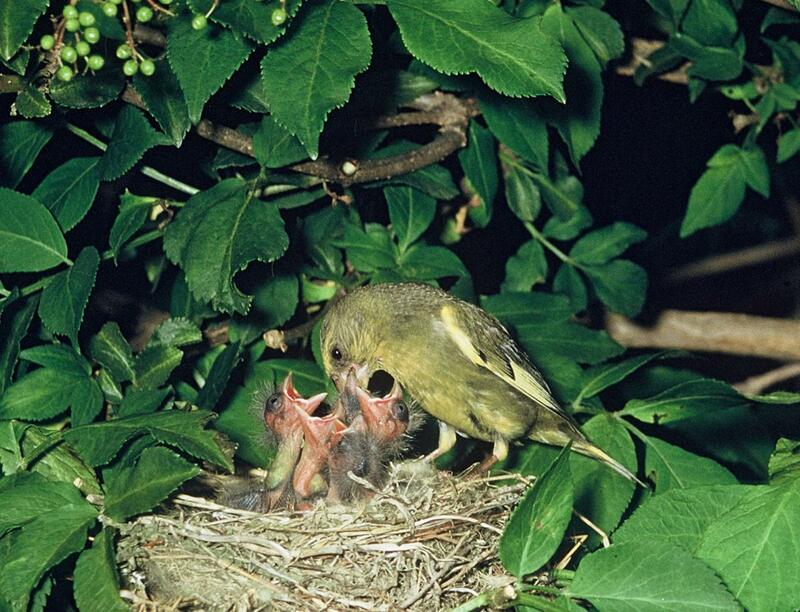 The greenies can be hybridized with canaries to produce infertile chicks that are commonly referred to as mules. 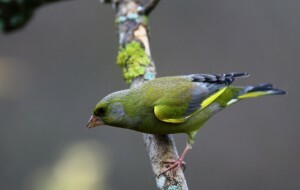 In spring, the male birds perform a dancing display flight, resembling butterflies to flaunt their yellow feathers among the olive-green coloration. 2 Responses to "European Greenfinch"
Loving the Forum and Blogs!